As always after two cities we need to go to the country; the country is what makes our hearts soar, re-energises our bodies and calms our minds. Preferably somewhere high, where we can hike and be surrounded by nature. So we hired a car, promptly got a free upgrade from economy to a Hyundai Sonata, and headed east on our road trip. We chose three national parks to visit that all followed on from one another in an easterly direction. Yosemite, then on to Death Valley and then finish in the Grand Canyon. This post will be long as I thought all the parks should go together (but mainly pictures as I think the beauty of the parks can speak for itself) - I hope I have done them justice. Yosemite was a fantastic park to start at, very green and everything was BIG. Big mountains, big boulders, big trees (some of the biggest in the world), big forests, big open plains and big people (just kidding). As it was just after summer, and it was a hot summer, Yosemite Falls was dry but Vernal and Nevada Falls were running fine and were a lovely day's walk up a tranquil and scenic track. 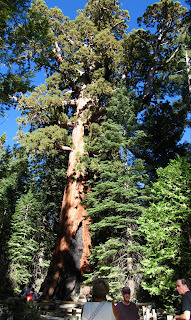 We also saw the huge and amazing sequoia trees. among the biggest trees in the world. The Grizzly Giant was over 1,800 years old!!! What tales it could tell. Many scenic routes and tracks to walk. So glad we had our own car. on that mountain. Crazy buggers! Then off to Death Valley; to be specific we were staying at Death Valley Junction, population? the number of hotel guests at the Amargosa Hotel and Opera House plus about four staff. 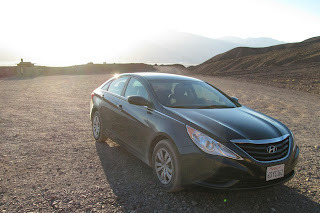 The 600km drive to Death Valley provided some of the most fascinating and diverse scenery I have ever come across, from the lush forests of Yosemite up to 3000m high with mountains still towering above us on roller coaster roads, to eerie deserts. Death Valley is on average the hottest place in the entire world and, as of September 2012 when Libya lost the record due to dubious measurement practices, holds the record for the hottest temperature ever recorded at 57 deg Celsius (134 deg Fahrenheit) in 1913. It is also the hottest, lowest and driest location in the entire country. This heat creates beautiful naked mountains where the colours, textures and shapes are exposed for all to see. Amazing by car but a nightmare for the 49ers (goldseekers) in 1849 who used the valley as a shortcut to the Californian goldfields and gave it its name. This area is very geologically active and ranges from high enclosing mountains all the way down to around 90m below sea level at the dry Badwater Basin to turn it into a unique hot spot of the world. Finally we headed off for the 8 hour drive to the Grand Canyon. Your breath is taken away when the canyon first comes into view and it does not seem real, it seriously looks like a 2D painting, very surreal. 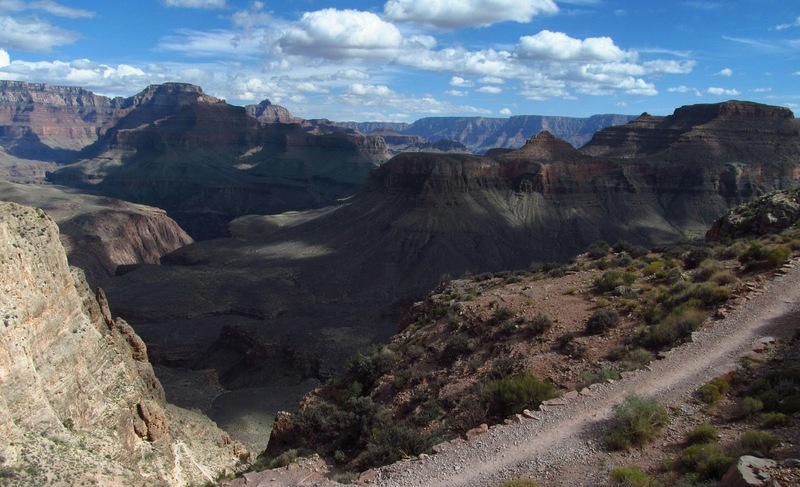 Whether while walking along the many kilometres that make up the rim or while taking one of the many trails down into the canyon, you just cannot get enough of the ever changing view. The canyon is over 300km long and nearly 2km deep. It is unique in that the mountains were initially pushed up intact and then as the Colorado River started flowing through from the Rockies to the ocean it carved the canyon at about the width of a sheet of paper per year. After five million years the power of time has exposed two billion years of history in the changing rocks and fossils that had been previously buried deep within the earth. The changing layers of rock from limestone to sandstone to granite and gneiss provide a history of the geology of the planet over time. This first taster of the changing American landscape was much more varied and interesting than we expected and has created the desire to see more. I hope you enjoy the pictures as I enjoyed taking them. Note: As I post this Hurricane Sandy has just devastated the east coast of the United States. You have a beautiful country and the people have been very friendly and helpful to us during our visit. We wish all of you good luck in rebuilding and restoring your lives to normality. Its driving me crazy, what am I looking for in the bottom right corner of the photo of el capitan? I may have given confusing instructions. 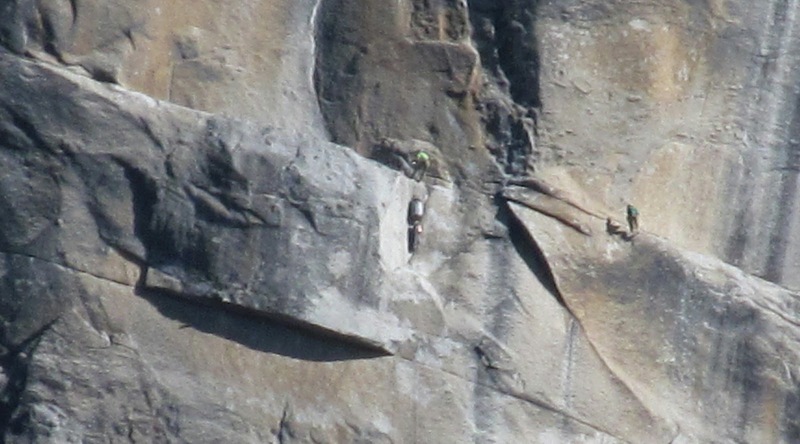 Start at the top right corner and move down and to the left a touch and that is where the climbers are that you can see in the zoomed up shot next to it. We were told that they had slept on the mountain hanging. I thought I had overcome my fear of heights this year but that is just crazy.